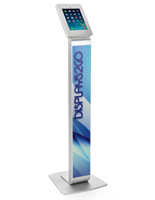 This branded iPad stand is great for trade shows, auto showrooms, or museums to showcase new features for products on display. 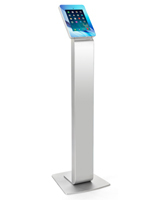 The front of each Apple tablet kiosk includes personally designed and custom adhesive panels printed on vinyl to highlight your company’s motto or logo. 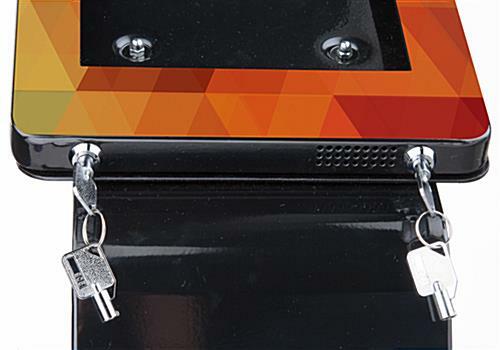 The heavy duty iPad stand is theft proof with two locks on the bottom of the enclosure. 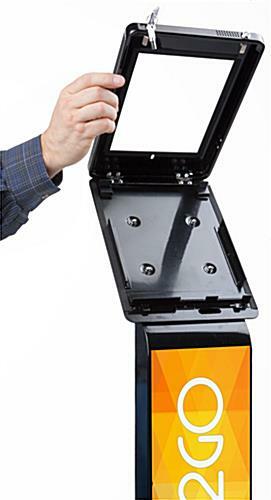 When in use, constantly have your tablet charging with the built-in power strip located behind the rear door of the kiosk. 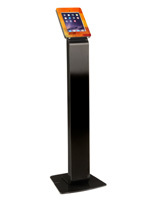 This iPad stand is designed to use with a variety of iPad models. 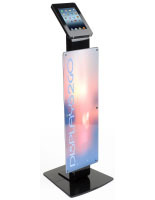 The adhesive panels will give your display that extra flare and adding a tablet to the enclosure will give your customers the option to browse features of your growing business! 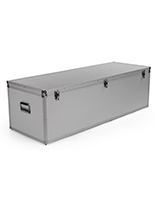 We were really pleased with the customer service that was provided to us! Kyle went above and beyond to answer all our questions and provide timely feedback. 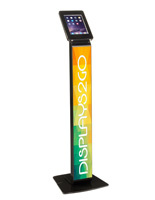 We needed 4 iPad stands expedited for an event and they were fantastic in helping us get them done in time! 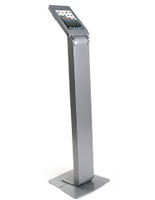 There were some over all issues with stands once they arrived. 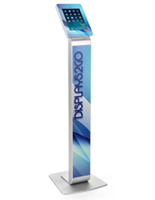 There was frayed cutting on two of our images, a couple of the face plates of the stands didn't align with the screw holes, and one stand was significantly bent. Overall, we'd recommend working with them! 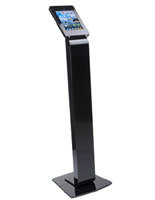 Hi Brandie, We are sorry to hear about the issues you are having with the iPad stands. 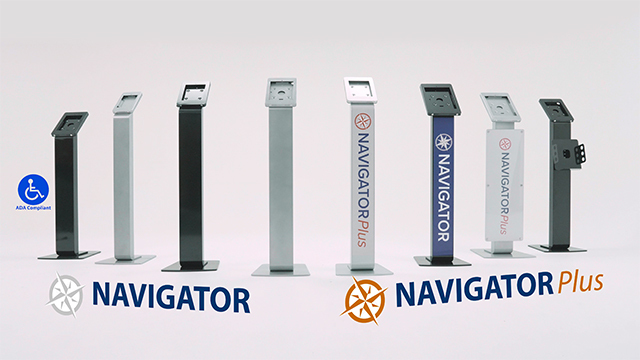 We will have a customer care specialist reach out to you shortly.